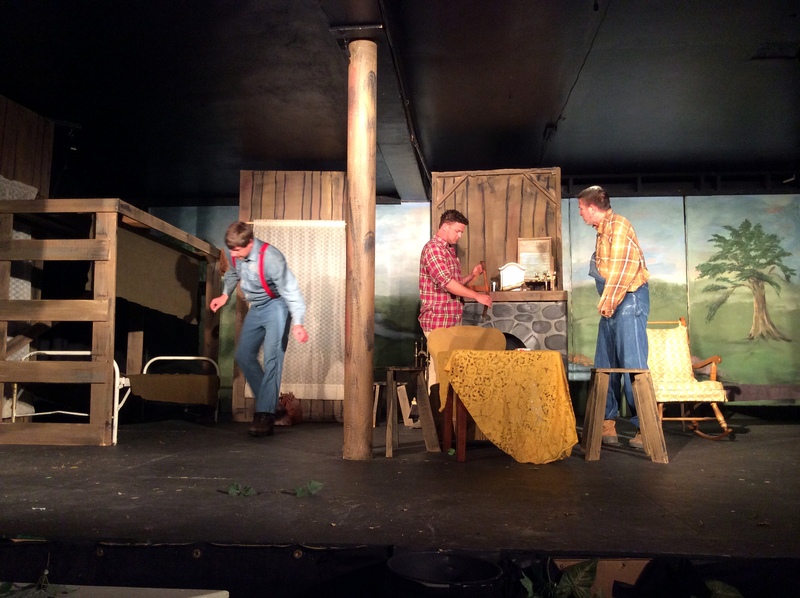 George (Kelly Cutler) and Lenny (Zane Cozby) look for a place to stay for the night. 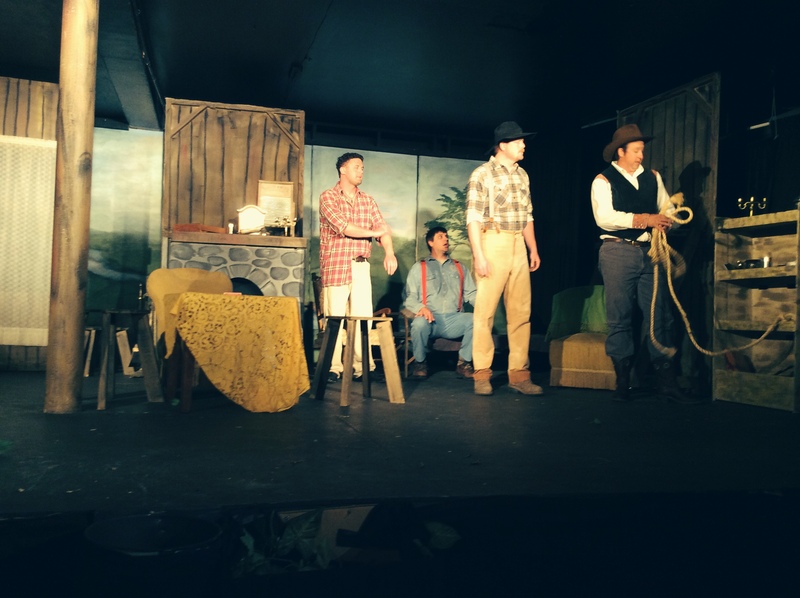 Of Mice and Men was performed by one of the best Montana theater groups: Cutler Bros. productions in June 2014. 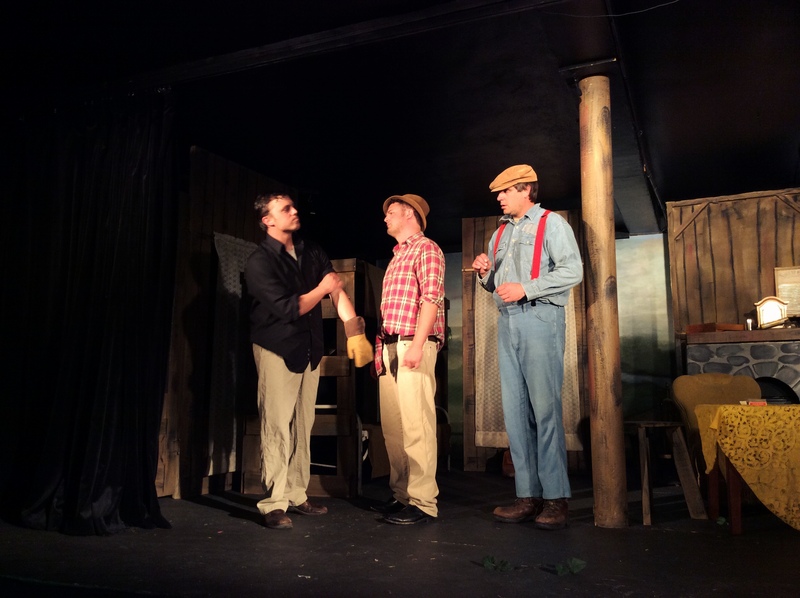 Cutler Bros. productions offer one of the top Montana Summer Theater programs that rivals anyone in the northwest. 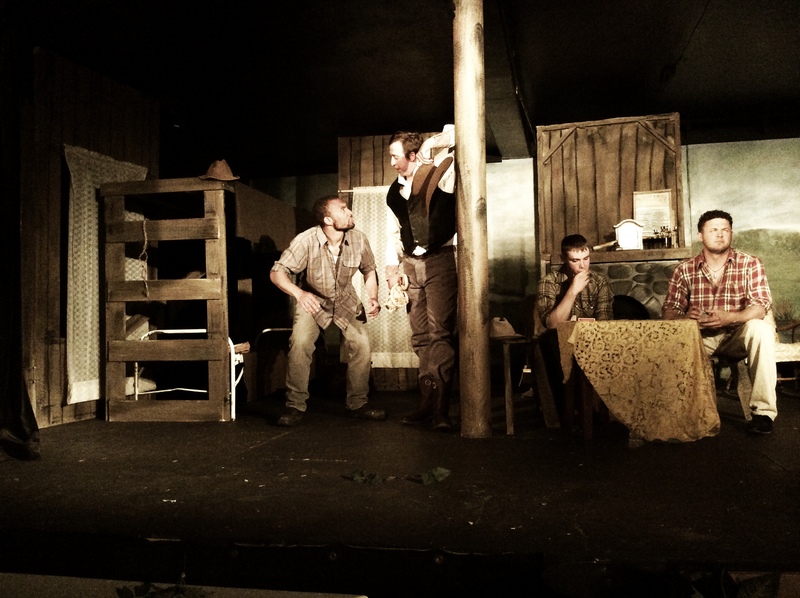 Candy (played by James Cameron) welcomes Lenny and George to the bunkhouse. Curley’s wife (played by AnnMarie Downey) makes her move. 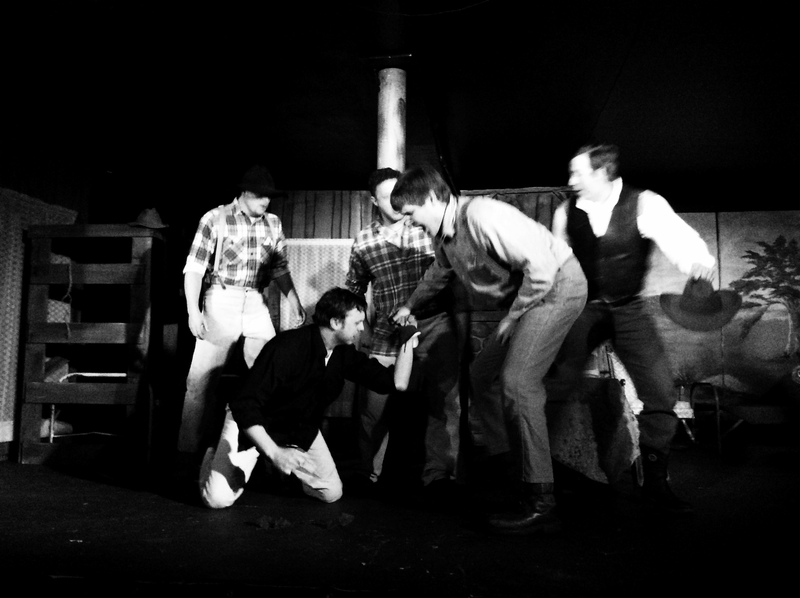 Slim (played by Stuart Jewell) giving a demonstration at the bunkhouse. 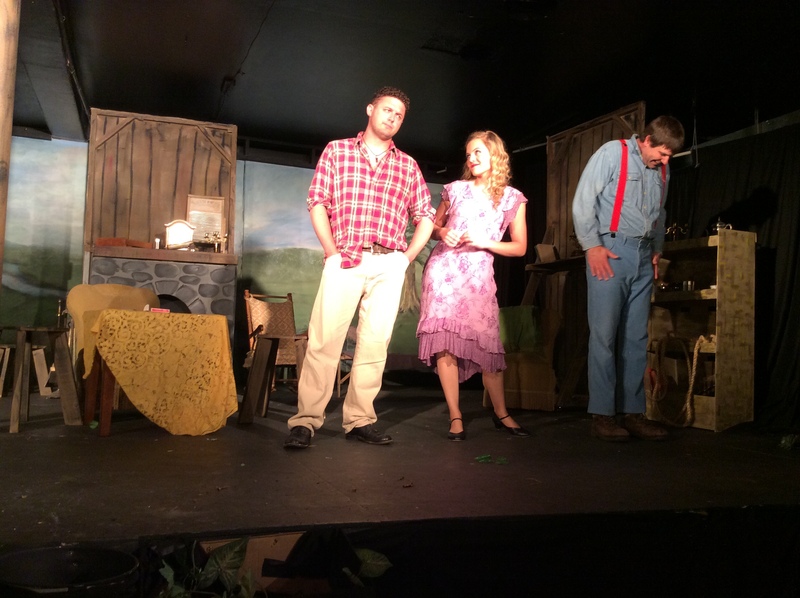 Curley (played by Matthew Cutler) is upset, looking for his wife. 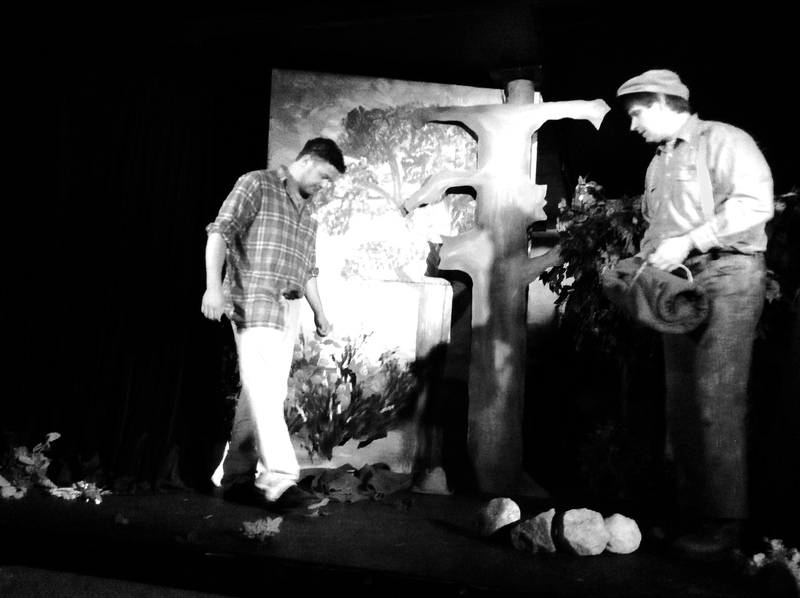 Crooks (played by Marquis Archuleta) is protecting his cabin while Whit (played by Martin Reap) looks onward. A fight between Lenny and Curley gets out of hand. Curley’s wife trying to warm up to Lenny. 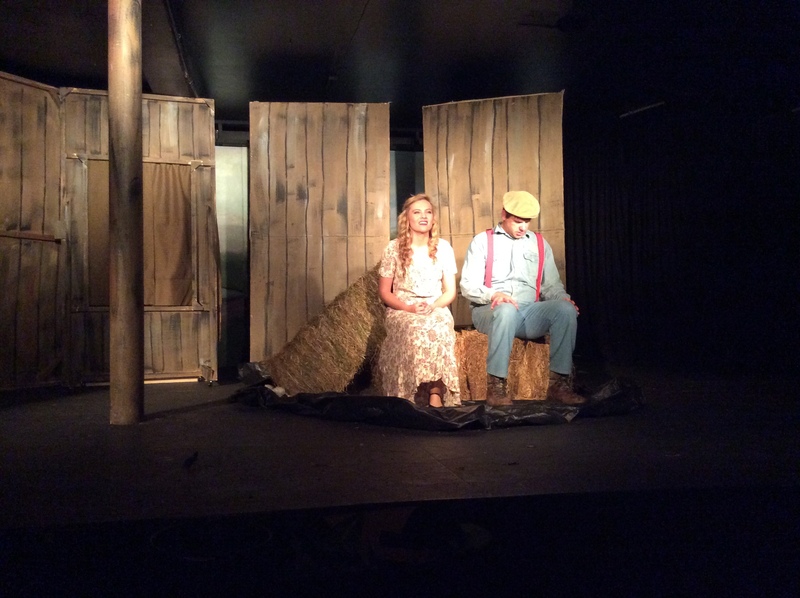 When will Mice & Men be staged? The times? The matinees? Carol, if you re-load the page, I literally just updated it with the show dates! We will be having 2:00 PM matinees on: Saturday June 14th, Sunday June 15th, Sunday June 22, and Sunday June 29th.